Northern Malawi truly represents the ‘Warm Heart of Africa’; we are eager to share it! 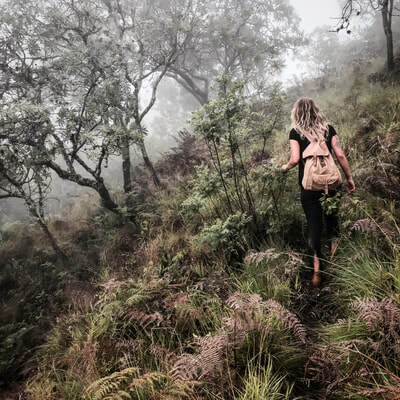 Bordered to the East by Lake Malawi & the West by the Nyika Plateau, The Mountains surrounding Mushroom Farm offer some of the most untouched and beautiful scenery in Malawi. As amazing as the area’s natural beauty is its cultural beauty. Because this area is so remote, villagers are delighted to welcome outsiders and the opportunities to interact are spontaneous and endless. Safety is not an issue, and the hassles often associated with travel in rural places are minimized. The Treks not only offer great day hikes around Mushroom Farm and an insight to the area, but they also encourage responsible tourism and sustainable employment. Local guides, who are born and raised in the Manchewe area, lead the daily treks. 100% the fees associated go directly to the guide! We add the treks to your tabs, and the guides are paid twice a month, which in turn encourages savings. You will find a sign up sheet at the bar- please sign up for a trek the day/night before. Thank you for supporting responsible tourism!!! 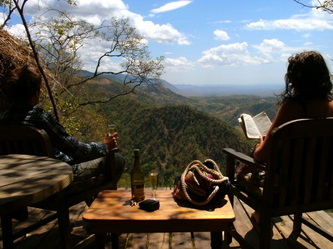 Spectacular Chombe Plateau offers stunning 360-degree views of Lake Malawi, Nyika National Park, and surrounding mountain ranges of Tanzania and Mozambique. The plateau holds a spiritual and sacred meaning to the community, which will be explained by your guide. You begin your walk from Mushroom Farm, taking dirt roads through Chombe village. Then begin your climb up the hidden trails, to reach the top of the plateau and enjoy your lunch over stunning views. The perfect spot to refresh and rejuvenate while appreciating this very special place. You’ll arrive back at Mushroom Farm in time for a rest, a hot shower, your dinner, and a great day of memories! 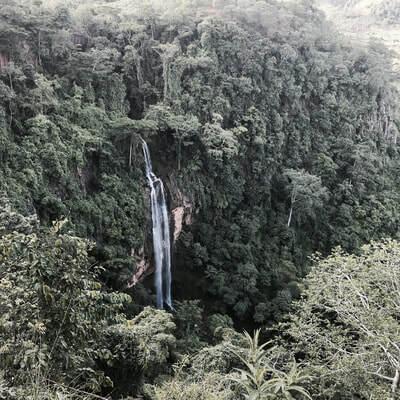 Close to Mushroom Farm (2 km) lies Malawi’s tallest waterfall, Manchewe Falls, a full 300’ in height. Brimming with natural beauty, flora and fauna, the Falls have also played a historic role in the area’s history. Join us on a wonderful ramble/scramble to the falls from top to bottom. You’ll leave Mushroom Farm for the walk into the village of Manchewe. There, you’ll enter the falls’ trail and continue on to ‘Lovers’ Rock,’ where your guide will explain the historic relevance of the area. Your guide will show you the way down hidden pathways to reach the bottom of the valley where you will enjoy a perspective of the majestic waterfall that few visitors get to see. After taking in the view, you will begin the ascent back to the top of the waterfall where you will have the opportunity to get in the pools for a refreshing swim and take the time to relax and eat your packed lunch! You will also learn about the future development of the area and the significance of the falls. Mushroom Farm is currently fundraising to install a hydroelectric generator to provide electricity in Manchewe. Interested in this project? Would like to contribute? Please inquire at the bar for more details! 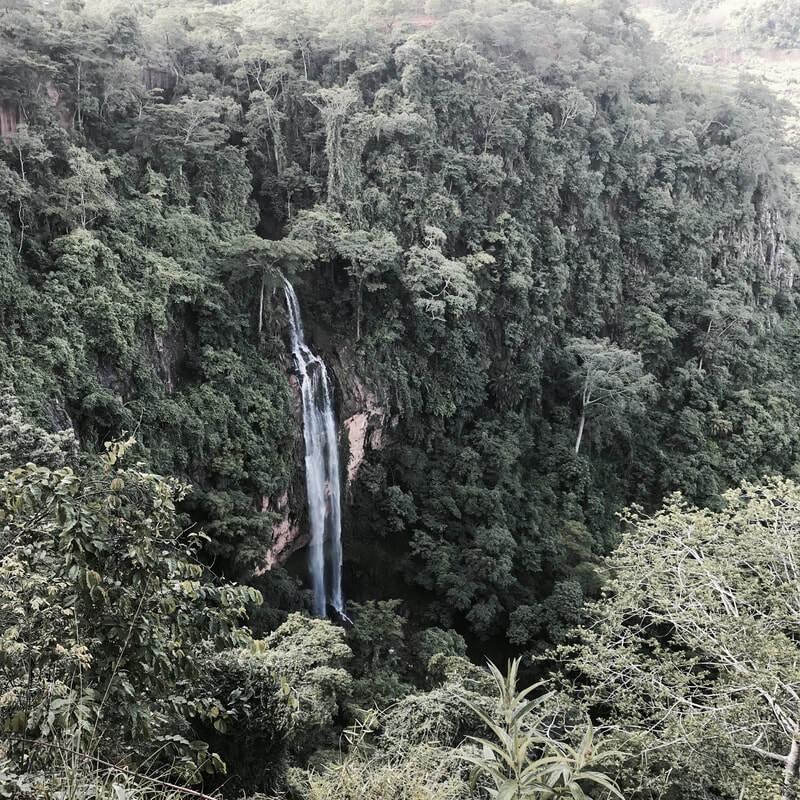 A lovely adventure out to view Malawi’s tallest waterfall and learn about the area’s flora and fauna. You’ll be back to Mushroom Farm in plenty of time to relax and refresh before dinner. Enjoy! Focus: Breathtaking beauty – and adventure! Perched above Lake Malawi and the Rift Valley Escarpment lies the historic town of Livingstonia. 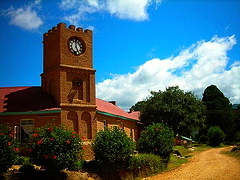 Originally known as ‘Kondowe’ village, Scottish Missionaries re-formed this area into a town in the late 19th century. In a few years, they developed a thriving (by some standards) community consisting of the Presbyterian Church, hospital, schools (primary and secondary schools, technical college and now university). Thus, Livingstonia offers panoramic views and a historic look into past settlement. Today, Livingstonia has evolved into a sweet little tourist town, and you’ll visit it all during your afternoon out! With your guide, you will follow the main Livingstonia road, passing Manchewe Village and its small shops. Your guide will explain many aspects of village life as you walk along. An hour or so later, you’ll arrive in Livingstonia and your guide will show you its sights – from both the touristic and the everyday worlds. Includes: Guided tour/local info to various Livingstonia attractions: Church and climb to Bell Tower (if caretaker is around); Stone house Museum, University of Livingstonia and/or Technical college, Memorial Hospital; Wood-carving craft shop.